The growing popularity of in-floor RADIANT Heat over the past several years, and the continued desire of most homeowners to have hardwood floors over them, has posed some difficult choices for homeowners as well as those who manufacture real Hardwood Floors. The nature of WOOD is that it continues to be a living, breathing material, long after it is harvested and crafted into its many and varied end uses including Hardwood Flooring. ALL WOOD is affected by Temperature and Humidity from the first day of installation through all the many years of service and beauty it provides. 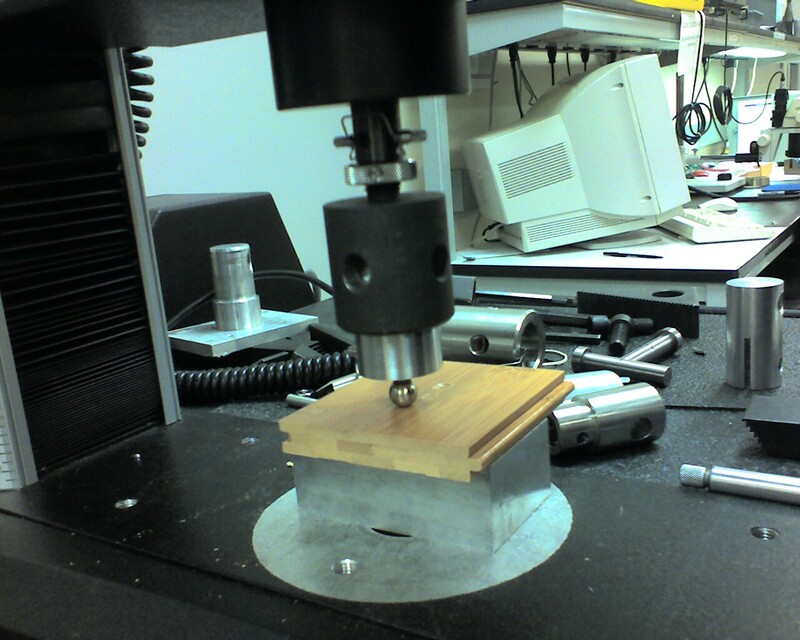 These factors, particularly Temperature and Humidity will continue to influence the DIMENSIONAL Stability of WOOD for its entire serviceable life which in some instances is hundreds of years. Shrinking during Dry HEATING Seasons and expansion during Humid Summer months is a natural occurrence in the life of a wood floor. Radiant floor heating is alternately referred to as radiant heat, heated floors, heated floor, radiant floor heat, radiant heating, radiant heat flooring and hydronic radiant floor heating. Certain steps and options can be taken, to mitigate these natural forces, and add to the life and serviceability of your Hardwood Floor whether you have in-floor RADIANT Heat or not. 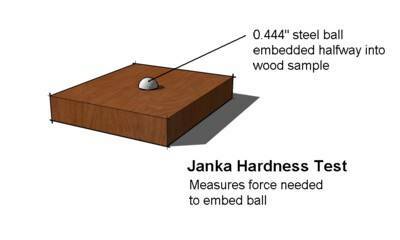 Below are some recommendations for planning a Hardwood Floor that is more Dimensionally Stable. Our first recommendation is to have a humidification system installed whenever possible to keep the relative humidity stable within the living space. You may also want to consider using Engineered Flooring as a first choice, particularly over radiant heat as it is most stable because of its construction. If you want to use solid hardwood floors over in floor heat, the best choices are to go with narrow widths, quarter sawn material and of course choose a wood specie that is more dimensionally stable than the others. BELOW is a DIMENSIONAL STABILITY CHART that may help you in choosing the species for your in floor heat application. 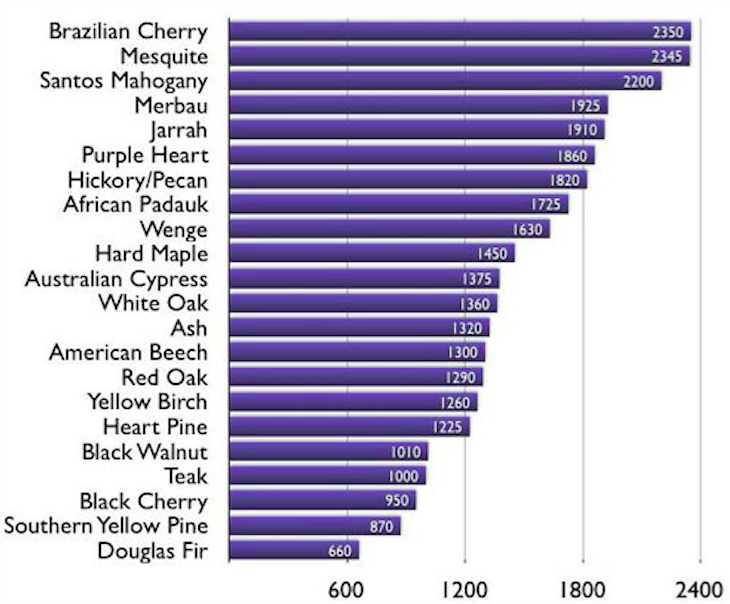 Mesquite is most stable on this chart, and American Beech is least stable.